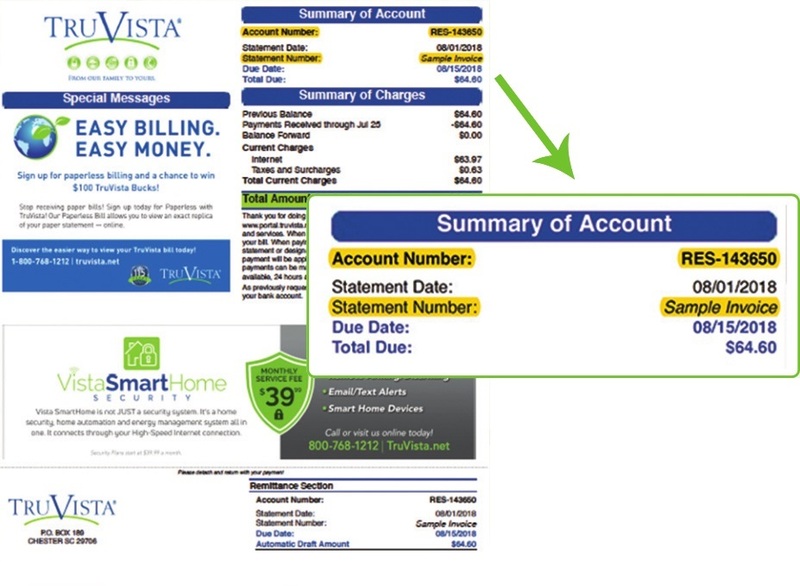 Paperless billing from TruVista helps you to reduce the clutter. Each month, you will receive an email notifying you of your bill payment due date and amount. You can use this notification to pay online, by bank withdrawl or by credit card. You'll just need the account number and security code found on your bill. You'll just need your TruVista account number and invoice number from a recent bill to register. We know our customers are busy and thats why we offer multiple ways to pay your bill. Pay online, Call, or Visit one of our convenient locations. Want to automate your bill payment even further? Click on the Set Up Auto Draft link to enroll in automatic bank draft. Thank you for being a TruVista Customer!